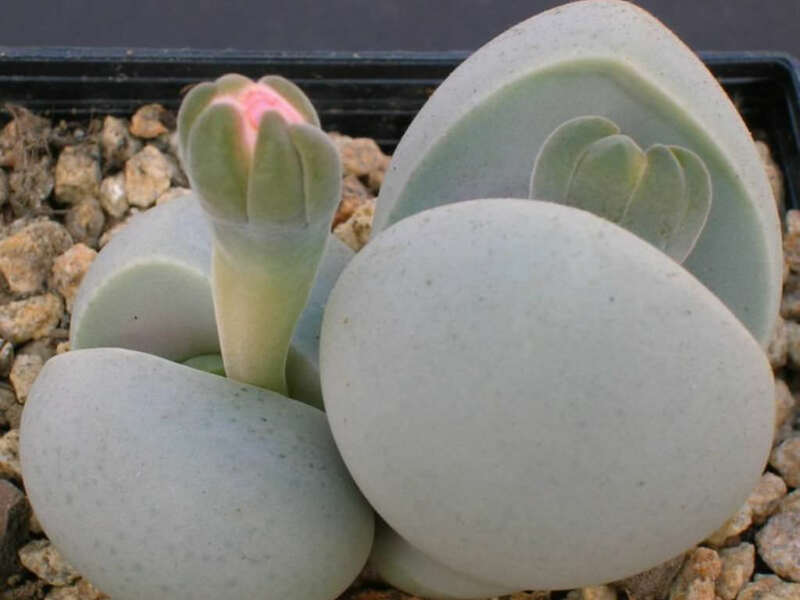 Dinteranthus microspermus is a small stemless, usually solitary or few branched succulent. 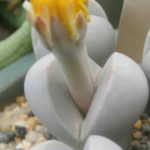 It has only pairs of boat-shaped leaves up to 1 inch (2.5 cm) long and broad and reddish-grey-green to grey-violet in color. 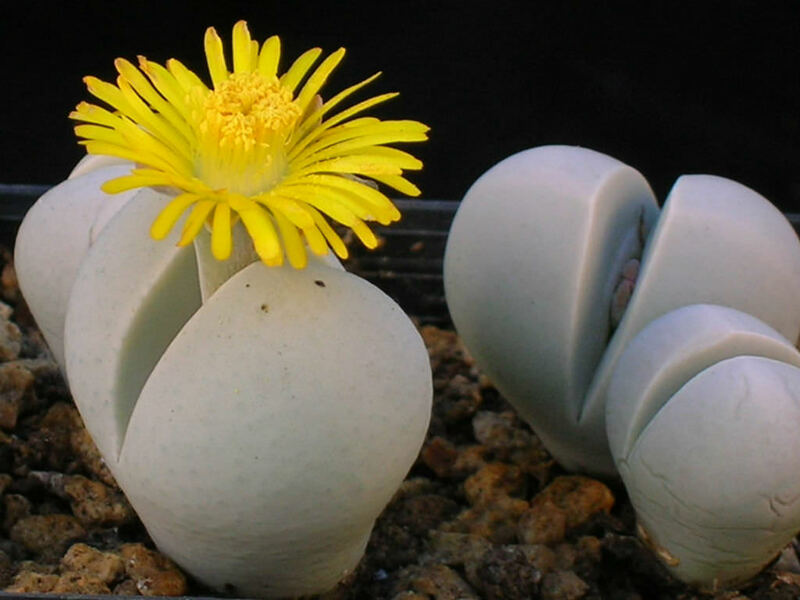 The flowers are many-petaled, arranged solitary, yellow or whitish often tipped with reddish. The fruit is a capsule with 6 to 10 locules and broadly winged valves. 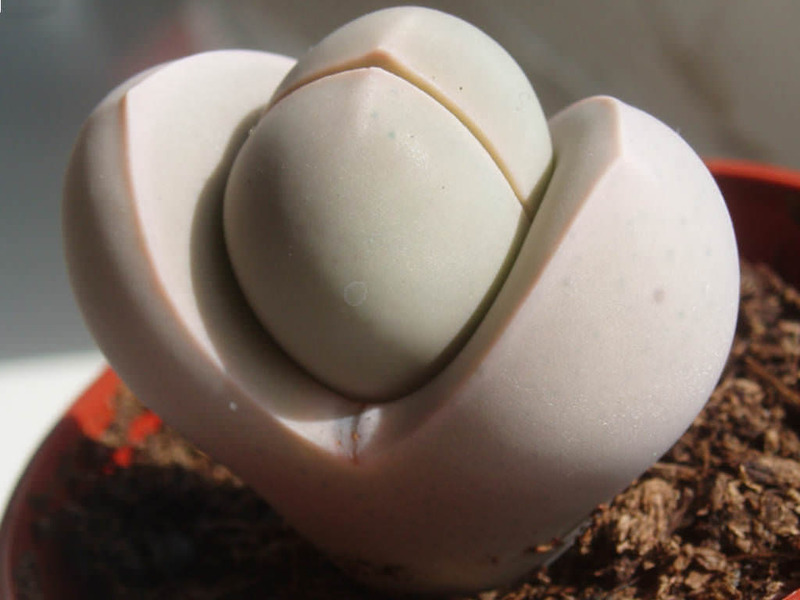 Adult plants of this genus behave like Lithops. 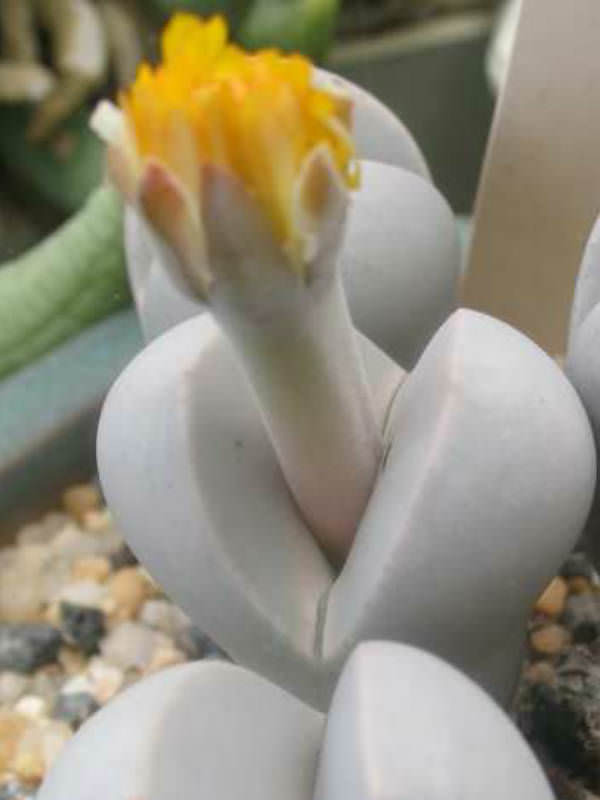 Summer expansion leading to flowering in fall, followed by a slow transfer of resources in winter; the main difference is that the presence of two active leaf-pairs is not unusual in some Dinteranthus. 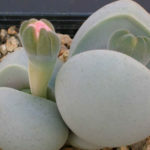 Dinteranthus require slightly less water than do most Lithops. Excellent drainage is essential. 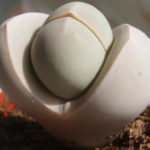 Their nutritive requirements are amazingly modest and the root systems of even the healthiest plants are minuscule. What they need most critically is good light, which will give them a bone-white aspect. Older long-stemmed plants can and usually should be turned into cuttings and re-rooted.